OPU’s Conserve and Save® solar rebate program makes it more affordable for you to install solar technologies on your home or business. The program provides a rebate of $.50 per installed watt ($500 per kW) for solar electric systems up to 10 kW ($5,000). The program provides a rebate of $15 per square foot net aperture for solar hot water systems (up to $1200). Rebates are available in conjunction with the 30% federal tax credit for solar technologies and is available on a first come first served basis. To learn more about interconnecting to OPU’s electrical system, download our Interconnection Process and Requirements for Qualifying Facilities. View the City of Owatonna’s Solar Ordinance here. To learn more about the 30% federal tax credit, click here. 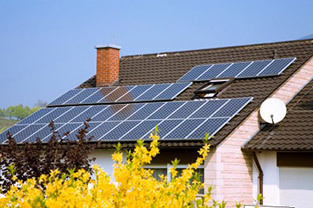 To learn more about solar rebates available from the state of Minnesota, visit their website. To learn more about Minnesota renewable energy resources, visit this website.